2,000 downloads. In one day! I love Cabernet Sauvignon but my IBM laptop does not. The delicate nature of unshielded direct-current electronics is compounded by the aging circuitry in an IBM T-40 to such an extent that even a small amount of fine red wine may spell instant, irreparable disaster. This is one of many important lessons I have learned in the last week. In this case there was no pop, no hiss, no telltale puff of smoke. The glass tipped and the screen went black. And ten years of constant companionship ended like the dousing of a candle. In retrospect it was probably time. This computer has had a hard drive replaced along with memory, a wifi card, a keyboard, and a fluorescent back light for the screen. Most of this in the last two or three years. I'd say I have made a valiant effort to maintain the relationship, but at last it's time to part.Thankfully, I've learned from previous experience to keep most of my important files backed up. Even so, it's hard to count the toll of lost time and productivity when something like this happens. I've had to transfer the files I backed up on a USB drive to another computer, an old desktop in the back corner of my bedroom where I do lots of publishing work but I really don't like to write because it's at best uncomfortable. From there I have proceeded with the final revisions of Shadow Rising along with other work that I would have preferred to do from the comfort of my laptop. 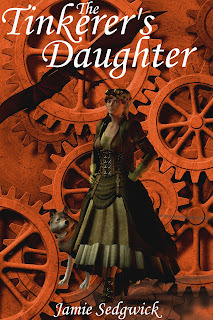 In other news, The Tinkerer's Daughter had 2,000 downloads in a single day this week. I'm just giving that a moment to sink in. In my last post, I discussed the almost foregone conclusion that I might have to join Amazon's new Kindle library program. The explanation is fairly well covered in that post. I did so, with several titles. As an experiment, I promptly gave Tinkerer away for free, for one day. I just wanted to see what would happen What happened was 2,000 downloads in a single day. I'd heard of writers doing this, and of people giving away 500, 1,000, or even more. In my mind, 1,000 downloads would have been a success. But as the numbers kept climbing, I began to worry. As I approached the 2,000 mark I had to wonder if I'd just given my book away to the only 2,000 people who might have bought it. The next day, it seemed my worst fears were confirmed. I had no sales that morning. I checked in at ten o'clock and had two or three. By that afternoon it was four. And I was pretty sure my writing career was over. But then I checked the numbers one last time before bed and found that I was up to fourteen for the day. That wasn't bad. Fourteen sales of Tinkerer was just about what I'd been doing since I raised the price. So maybe I hadn't destroyed everything by giving my book away. If nothing else, things seemed to be getting back to normal. Then, the next day, I sold 50. That was more books than I'd ever sold in a single day. And at the new, higher prices. And that wasn't even counting my other titles. I'd sold 50 copies of Tinkerer alone! I checked back at Amazon and found that my book had reappeared on a couple of lists in the top 100. And I was feeling pretty good. Still, you never can be sure about something like this. Was it a fluke? Had I gotten my bump, and that was the end of it? Turns out it was not. The next day I sold 100. And today, as of ten o'clock in the morning, I've sold more than 50. If this pace continues, my numbers will double again before the day's out. I'm feeling pretty good about that. I'm in the top 10 on two lists, very close to the top, and in the top 20 on another. But those are small lists; niche markets. The big one is the first one: #754 Paid in Kindle Store. That's 754 out of literally millions of titles in the kindle store. Tinkerer broke right through the top 1,000 and didn't even pause. Of course, I take all of this with a grain of salt. 100 sales yesterday does not guarantee 200 today, nor does 200 today guaranty anything tomorrow. I could wake up and find it's all over. But right now I'm praying it's not, because I've been waiting for this for a long time. And as far as the Kindle Library thing? Yeah, you could say I'm sold. The Fire Sale is Over... kind of. When I first uploaded Karma Crossed in December of 2010, the big question was: How much should Indies charge? Those were the days when Joe Konrath and Amanda Hocking were all the news, and nary a title could be found that was more than $2.99. There was a reason for that. When Kindle publishing first started, Amazon set forth the rules: If you sell your e-books for $2.99 or more, we'll pay you 70% of the cover price. Charge less than $2.99, and we'll take 70%. Oh, and no giving books away for free. Only big publishers can do that... The answer was obvious. Price everything at $2.99, and only go lower if you want a loss leader. Sacrifice profits on a title or two in order to make a decent income off the rest. And for a few months, that seemed to be working. Then Amazon changed the rules. Early last summer, Amazon began marking down titles at random to $0.99 in order to entice more readers to buy more books (and more Kindles, no doubt). To their credit, they paid the authors the full amount. But unfortunately, hundreds (or even thousands) of us no-name authors were suddenly left hanging with most of our titles priced at $2.99 while Kindle buyers were suddenly jumping on $0.99 deals. I, like a great majority of Indie authors, lowered my prices. It was the only way to compete. I sacrificed a huge amount of profit in order to compete with Amazon's fire-sales. In December, Amazon began a new program. They gave new Kindle owners a free month of Amazon Prime, which gave them a few perks such as access to Amazon's Kindle Library. This gave new Kindle owners access to tens of thousands of titles for free. Great for Amazon. Great for Kindle sales. Not so great for those of us trying to sell books. For the first time in a year, my sales flatlined in January. I didn't take a major hit, I just lost all growth and on some days, saw less than average sales compared with the previous month. Obviously I had to do something. So what do you do, when Amazon gives books away for free? How do you compete? Answer: Raise Prices! Okay, you're laughing. That doesn't make sense, right? Sure it does, because things have changed. There's no point at all in trying to compete with free. I'm trying to make a living here. I'm trying to build a career. And if I really want to give my books away for free, I can join the program. I just have to pull my titles from every other e-book retailer. Yeah, did I forget to mention that part? Once again, The Bix Six don't have to do that, but I do. Ah well, who am I to complain. Clearly I'm just a pawn in this chess game. All I can do at this point is hope that my books are good enough that some people will still be willing to pay for them, even when they can download other books for free. A week ago I changed the price on Tinkerer to $3.99. I immediately lost about thirty percent of my sales. And my profits multiplied by ten. All that being said, I am considering joining Amazon's library. I don't like the exclusivity. I don't think it's fair. But then again, it's Amazon who sells my books. Smashwords distributes my books to sellers who more or less ignore them. Barnes & Noble treat Indie publishers like an embarrassment to be hidden in the back room. Amazon puts my book on the same shelf as everyone else. They promote my book through sales and ads, and when they drop the price of my books, I still get paid my full share. So my objections to this program are clearly based more on principle than anything else. And as much as I'd like to stay on my high horse, I've got a business to run. I can't sell books if nobody knows about them, and only Amazon seems interested in helping me to do that. The other day, I alluded to the fact that I had new covers coming. It's been a year (and a few weeks more) since I first uploaded Karma Crossed in December of 2010. The formatting was horrible, the cover looked disappointing online, and at the time I didn't even own a Kindle to see how it looked in the reading device. Needless to say, I had to make some changes. By Christmas, I was reasonably satisfied that I had a worthwhile product. 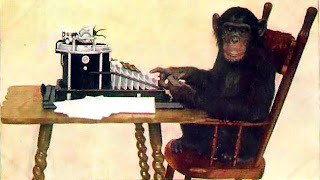 2012 is a year of trying new things, and some of you may have noticed new prices on my books as well. This is my announcement that I will no longer be keeping all of my titles at $0.99. Over the coming days and weeks, most of my books will be returning to the $2.99 or higher range. More about this later. The subject merits a full discussion, and I won't bore you with the details just yet. We're well into January and I'd like to wish everyone a belated Happy New Year! Then again, we have another celebration coming up in just a few weeks around here. Chinese New Year is big in San Francisco, complete with fireworks and parades of dancing dragons. Hmm. 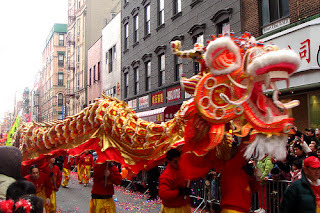 Maybe we should have a New Year's celebration every other month, all year long. I'm game. You can never have too many holidays. Am I the only one here who thinks Americans work too hard? Anyway, the primary purpose of this post is to thank Dale at Chilli Tween Reads for the fantastic interview he put up this weekend, with yours truly as his guest. It was a lot of fun doing the interview, and Dale asked some great questions. There were a few that I really had to think about for a while. Chilli Tween Reads is a great site dedicated to reviewing young adult and middle grade books, so swing by and check it out. Also, another heads up: I have new covers coming! I won't reveal too much about them right now, but I've found a new resource for material and I'm working hard to bring some very exciting ideas to life. 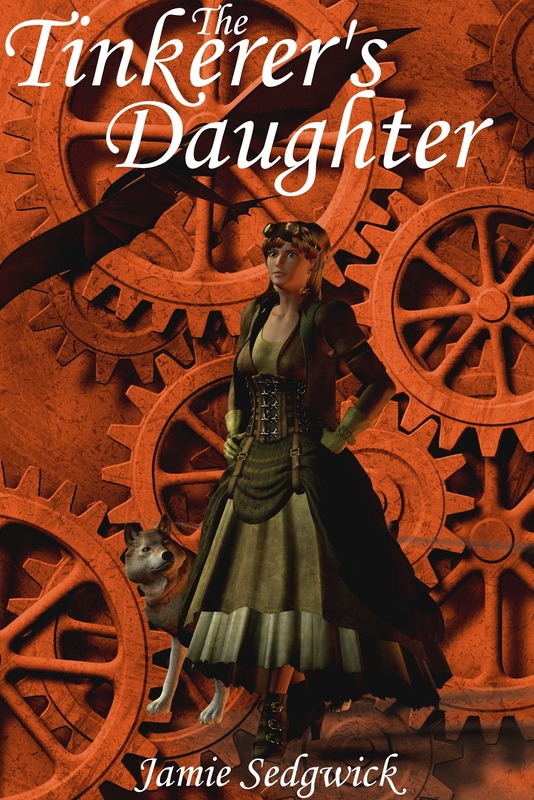 Some of my older books will probably be getting facelifts soon, including my best-selling book, The Tinkerer's Daughter. The timing of all this will be tricky of course, because I'll also be releasing Shadow Born II: Shadow Rising in the next few weeks, and I've just finished the first draft of the sequel to Hank Mossberg, Private Ogre: Murder in the Boughs. I have a third book in the series planned already and another written that I may or may not release by this summer. More details on that later. In summary, thanks again for the interview Dale, it was great and I love your website. May 2012 bring us all peace, prosperity, good health!